You all did a SUPER FINE job of getting messy!!! Thanks bunches for joining our 'A Beautiful Mess" challenge. Whether you made a messy looking project or just used 'messy' techniques...we were thrilled to see every inch of your 'Beautiful Mess' creative projects this month! As most of you know, this will be our last post from OUR CREATIVE CORNER. Before I announce the winner and Top 3 for the challenge please allow me to say thank you, from my heart, to precious Laura, sweet Claudia and the DT for this incredible opportunity. You are all truly amazing. I came to OCC entering challenges and so well remember the thrill of winning a challenge and posting your badge to my blog. Ultimately, becoming part of your DT was a true honor and joy. XXj. LOST COAST DESIGNS and CARMEN'S VERANDA. we will get your voucher to you as soon as possible. Are you ready for the MESSY winners from our 'A Beautiful Mess' challenge? I had such a fabulous time looking at each of your truly marvelous creations. I wanted to just find a prize for you ALL!! Along the way... I realized the operative word for me would be 'beautiful'. A pretty mess or a funky mess would be totally different than a beautiful mess. So that helped with my final decisions! And here is our final Winner and Top Three! 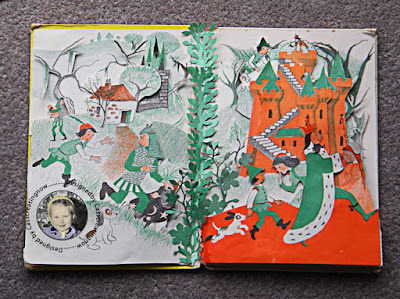 I was spell bound by Ruth's background - it has helter skelter bits and pieces of everything in it! There were splashes and splatters, dents and dobs all over it! And her flowers were stunning but the materials she used for them was very messy in appearance. One beautiful flower even had a leaf fraying!!! Just don't see how it could be much messier in such a truly beautiful way. Forgive me Branka but all I know to say is that this is just: 'A Beautiful Mess'! 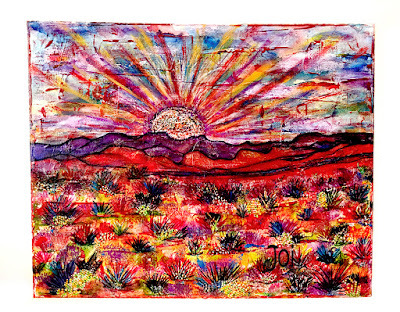 The vivid colors and the free spirit of this piece just made my heart feel happy. On her entry Sara said: "A bit messy, even by my loose standards". Heheheheh - I agree Sara!!! 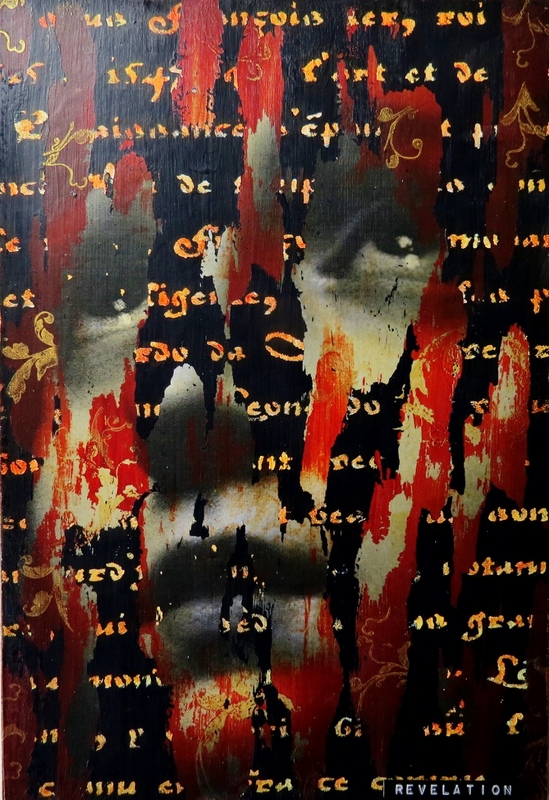 There is dimension and texture as well as crackle, embossing, glitter, micro beads. All great BUT... there is seriously nothing perfect about this creation. And THAT is why I can say I adore it unconditionally - it's NOT PERFECT - it's a Beautiful MESS!!! Rupa made this lovely creation out of a cardboard box! It is lovely and it just makes me smile. The raffia roof is darling and adds to the charm of this sweetly beautiful mess!!! Rachel is a bit new to the artsy world and somehow her little village sunrise just thrilled me. Seems to me like there is no way that messy background would work with this darling little town and it's very messy blue brick streets but to me it's just totally quaint! And I just think that abstract sunset/sunrise completely brings the entire piece together. It just seems like 'A darling little Beautiful Mess'. This is Shirly's very first EVER blog post! WOW. And look - she even included the brush that created her "beautiful mess". The background is a modge podge of color that makes the artist pallet look just like mine - messy!!! And those white messy lines are so fun as the border. As an artist - this creation was splendid eye candy and definitely seemed perfect for our challenge! SUCH WONDERFUL FUN! All my thanks to each one of you who submitted your truly SPLENDID creations. They were each a joy to see. that was hosted by Candice! Candice selected Nate as her winner and we are so thrilled to be welcoming her as Our Creative Corner's last Top Talent!!! I live in France in Val d'oise and the town is called Sannois. It is a suburb 20 km from Paris and 5km from the Stade de France. I started scrapbooking (not knowing that it was called that back then) by customizing my photo frames. I stuck flowers and buttons on them....until the day I discovered scrapbooking sites on the internet. This adventure set me going. I created my own blog in 2007 and it's name is"le scrap de nate" My aim was to have a place where I could collect and share my creations. 3. What color inspires your creativity? I react to all colours. I like to mix them and get messy with them - but when I look at my creations I notice they are dominated strongly by green. A restful colour which represents nature and serenity. 4. Are you a day-time or night-time crafter? I don't have a timetable. I get inspiration at all times. For me everything can be made into crafts. A project idea just arrives and then everything happens. 5. If you could have anything you wanted, what would it be? I hope and wish to continue for a long time with craft projects and I hope that my inspiration will grow by learning new techniques. I also would like to have some of my creative goals and desires become reality some day. I am simply happy to be just me. 7. About how many hours do you spend on crafting per week? Let's see what Nate made for us! Quelle merveille, Nate ! - C’est incroyable et si beau ! Il a vraiment été un grand plaisir et honneur de présenter cette merveilleuse création at Our Creative Corner. Merci beaucoup d’être chez nous! If you want to see more photos and details of this wonderful creation and find out how it was made, then please go along to Nate's blog and say "Hello" - I am sure she would love to see you there! 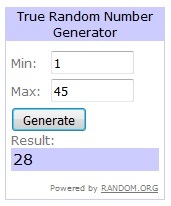 Our wonderful Joi is running this months challenge - but before I hand over to her to tell you all the details about that, I just wanted to let you know that we will be announcing Joi's winner and Top 3 and the sponsor winner on 1st July and then OCC will be closing it's doors for the foreseeable future. ...to Linda for having faith in me and letting me take on the leadership of OCC. Thank you for your invaluable advice, strength and wisdom and for always supporting me along the way. ...to each DT member who has given their time to OCC and devoted themselves to organizing some awesome challenges and providing amazing inspiration. Thank you for being there. ...to all the Guest Designers who have inspired everyone during our challenges. Your work was always an amazing addition to our blog and we are so very grateful. Thank you to every person who has ever entered any of the challenges here at OCC. Your creativity is amazing. We have been in awe of the people who enter their work for us to see and we would always have the greatest difficulty picking a winner each time. Without all of you there would have been no challenges and we were always so glad to see you here! I am leaving OCC open for people to re-visit and hopefully be inspired by what they see. Happy crafting adventures to everyone! I am bringing you the June challenge at OUR CREATIVE CORNER. 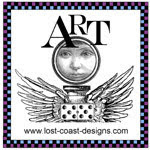 We are so excited to have Lost Coast Designs and Carmen's Veranda as our Sponsor for June. They will be giving a lucky randomly selected winner a $20 gift certificate! .......How about getting messy?? Can you do it with me??? Can you be free and filthy? Are you brave??? we want to see every inch of your 'Beautiful Mess'! So create 'A Beautiful Mess' for a chance to win some of the Sponsors fab products! Lets take a peek at what the fabulous team at OCC have made to inspire you today! Messy Products and Messy Technique... I soooo want to 'fix' this creation!!! Can't I go back and paint some tall cacti and sweet yellow cactus flowers? Does the sunrise/sunset have to be so wild? And what are those crazy red splats doing all over my canvas???? Dear me.... such a MESS! But ohhh - so much fun!!! Hope you have fun too. Xj. with some Distress Stain splats and stencil splashes. I certainly made a mess getting this journal page inked up! Wilted Violet Distress Ink Stains gave me purple hands for days! Layers of papers, paint, texture paste and words….here and there…. 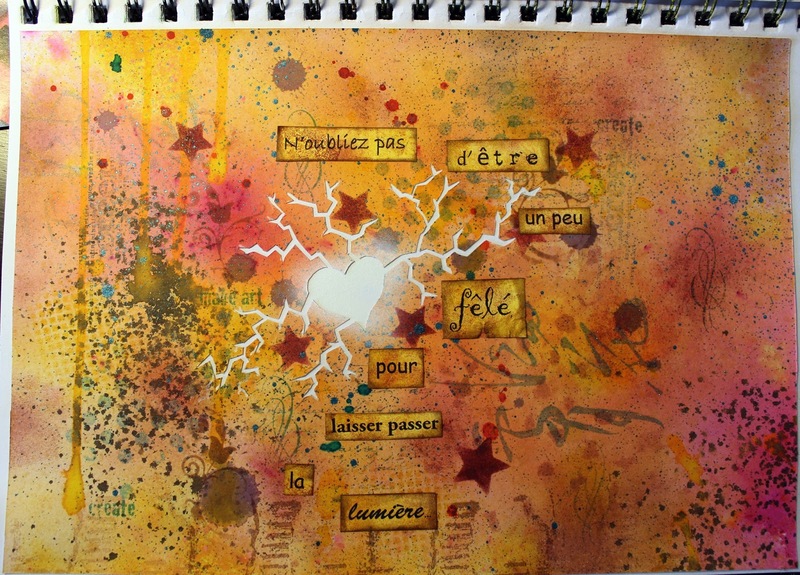 From mess on the table…to a beautiful mess on the paper…. stamping and other techniques on the top. I loved this challenge so very much! 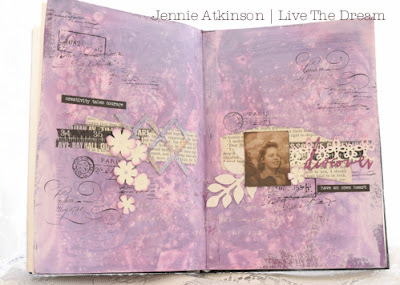 What better than an Art-Journal spread to be freely messy? how this kind of mess can be so beautiful! myself to do mess AND clean at the same time! The result? Thanks so much to the OCC team for their messy creations! They look amazing! 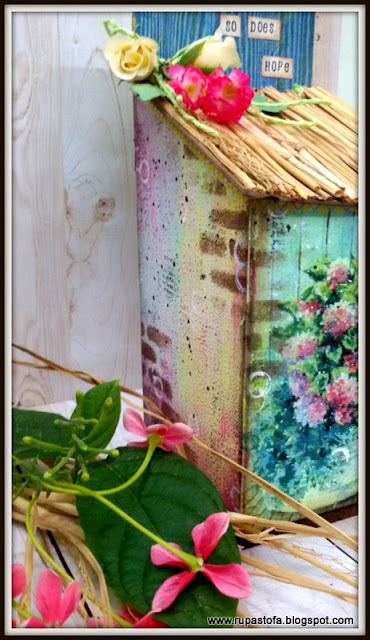 Bring all those inky splats, paint splashes, marker swipes, watercolor spills and perhaps broken embellishments to our MESSY challenge here at Our Creative Corner.... and enjoy yourself! I just can't WAIT to see all your CREATIVITY sublime and leave you a comment too! PLEASE - thrill us with 'A BEAUTIFUL MESS'. I'll be watching for you!! Where do you live? I live in Arizona just outside of Phoenix. I have been here for just over 12 years. I was born and raised in Massachusetts. What makes you smile? Lots of things make me smile- my daughter, my husband, my four goofy cats, internet memes-I am pretty easy to please! What is your favourite style of crafting? I love crafting in all forms. I love working with paper and being able to manipulate it with paint, ink, glue, texture paste, gel mediums, gesso, sprays, you name it and I will slap it on a piece of paper. I like to add a bit of vintage flair to all of my work by using old ephemera, beads, and knick knacks. Name one product you couldn't live without and tell us why. Paper. Lots of paper. I love paper. I am a terrible cutter(don't ever ask me to cut a straight line) and that's a huge reason why I don't sew. I love that I can use ripped paper, crooked paper, and tiny bits of paper to make something lovely. What's the last stamp set you bought? 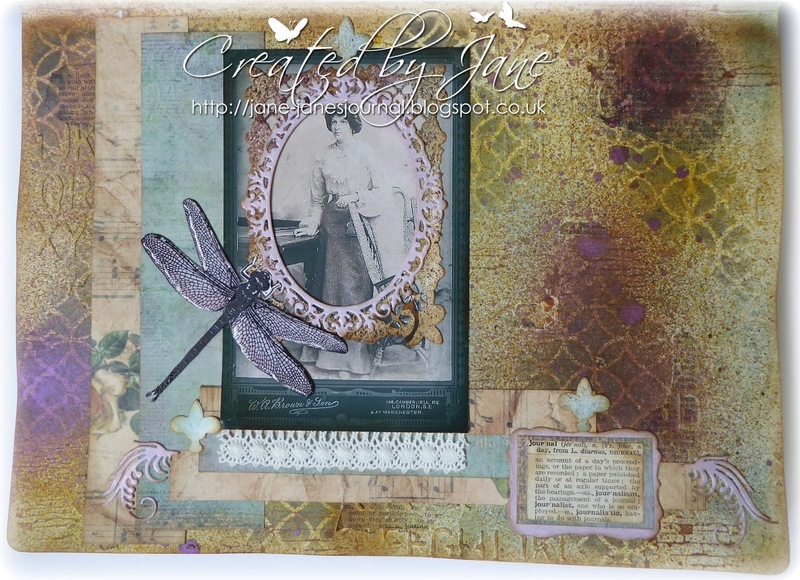 I just bought the Tim Holtz Winged Things set and I used it for my project below. Paint or ink? Or Both? Why? Both. Layering adds so much depth to any work. Ink and paint can make different types of layers and I love how they look separately and how they work together. So many of Jessica's answers resonate with me that I feel as if I know her already - right down to the purchase of Jessica's latest set of stamps, one of my favourite very favourite sets, 'Winged Things' by Mr Holtz!! So totally agree with Jessica about using ink and paint to create layers and depth. I am so excited my Mermaids were chosen as the winner for the Return of the Challenge. Today I have made a multi layered canvas tag. 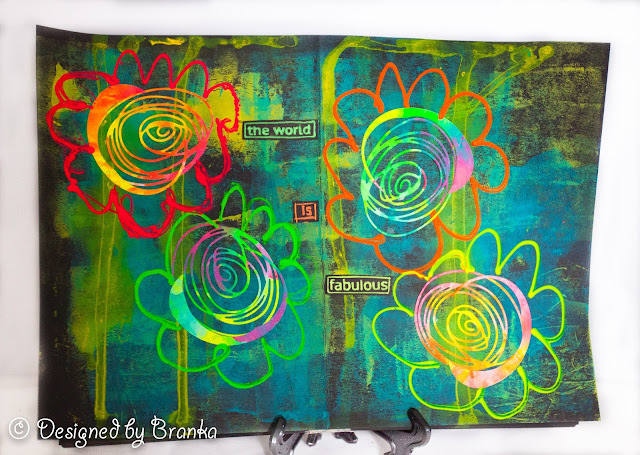 I started by using my gelli plate, stencils, and acrylic paint to make my background. 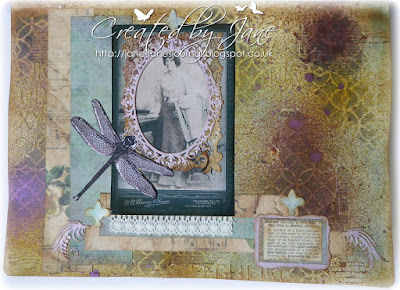 My focal image is from the Tim Holtz Winged Things stamp set. The little fairy is colored using Distress Inks and Crayons. I made the flowers and branches using a tissue paper and collage medium technique. I hope you enjoy my tag as much as I enjoyed making it! Jessica, I absolutely love how you've layered this beautiful tag using so many techniques which I adore! You had me with the stamp set you used but then followed up with a Gelli print background and flowers - right up my street!! Thank you so much for sharing your art with us today and we do hope you will play along with us again. For further details showing how Jessica made this delightful piece of art, please click here to visit her blog. If you haven't joined in with this month's challenge yet, there's still time and you can find all the details and inspiration from the DT by clicking here. We have another Top Talent to bring you next month so don't forget to pop back on June 22nd and see the work of another talented creative. Thanks so much for joining myself and the team today. Laura here with our second Sponsor Spotlight for this month! Our Sponsor this month is Crafty Individuals who have generously donated a massive bundle of goodies that will be on it's way to one very lucky winner this month. These stamps are so gorgeous! They really don't need much 'work' added at all! I roughed up the edges of the Manuscript card and tore parts to give it an aged distressed look. I added some smudges of Victorian Velvet DI to complement the pink tones I intended to add. I covered some card with Victorian Velvet and Tattered Rose DI and edged it with Frayed Burlap DI and stuck it onto cream coloured mount board. Then I added the crackle and manuscript card. I stamped the lady in Frayed Burlap DI and cut her out, dabbing the cut edges with Frayed Burlap. ....and stuck some foam pads under the cut out lady so she appeared to be floating above the card. And there is the completed creation!